Bowater Projects – installer of energy efficient architectural facades and entrance systems – now offers bespoke solar shading and photovoltaic (PV) panel options for its System10 Aluminium Curtain Walling. Both products – which are only available as ‘specials’ – provide a simple, low maintenance way to cut both energy bills and carbon dioxide emissions. Aesthetically pleasing, flexible and lightweight, the solar shading provides a quick-fix and inexpensive solution to offices and classrooms that suffer from excessive solar gain. 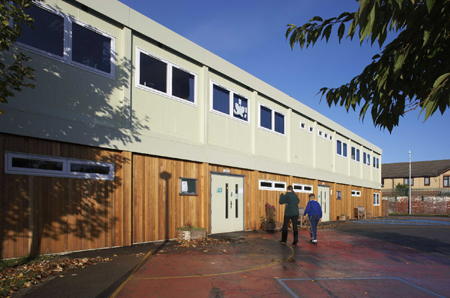 It helps maintain room temperatures at around 24˚C – reducing the use of air-conditioning units and so reducing energy bills and CO2 emissions – as total solar gain is limited to 35 W/m2 (in accordance with Part L2 of the Building Regulations). 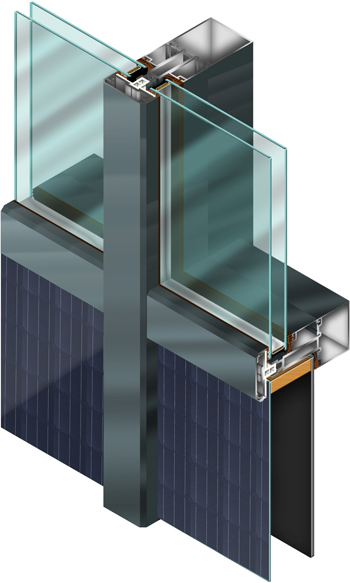 The PV panels generate electricity in a clean, quiet, renewable way and simply slot into any System10 Aluminium Curtain Walling frame where infill panels would normally be situated. 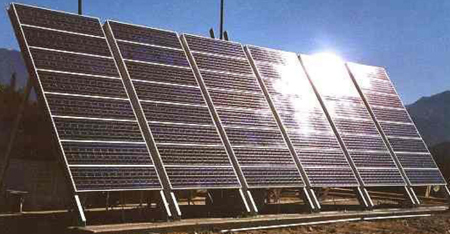 The user can then generate electricity for export to the National Grid and take advantage of preferential ‘feed-in’ tariffs for solar-generated electricity. Bowater Architectural, sister company to Bowater Projects and the manufacturer of System10 Aluminium Curtain Walling has calculated the effects of a PV installation (152m2) in London, subject to a mean annual temperature of 12˚C, and found that it would generate up to 6,697kWh in a year – and reduce the amount of carbon dioxide produced by 5,931kg. System10 Aluminium Curtain Walling offers U-Values ranging from 1.5 W/m2K, with 28mm glazing units, to 1.0 W/m2K with 32mm triple-glazed units (both based on a 50mm mullion). It combines fully with either PVC-U or aluminium windows and doors so that buildings can be fully upgraded regardless of system requirements. 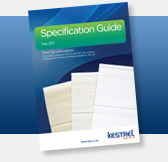 A full range of RAL colour options provides the complete choice of design finishes. Opening lights and doors are fully integrated; and a choice for frame-glazed and direct-glazed options is available – with direct glazing methods offering slimmer sightlines and reduced cost. Dimplex is extending choices in solar thermal water heating, with the launch of the SOLC201 flat plate collector, which provides a cost-effective way to start enjoying low cost, low carbon hot water. The SOLC201 is solar keymark approved, meaning that it will be eligible for the financial incentives available under the Renewable Heat Incentive, available to non-domestic installations from July 2011, with domestic installations expected to be eligible from October 2012. A laser-welded meander absorber pipe with a highly selective coating means low pressure drop of the overall collector field, while a solar safety glass covering with 85% transmission, allows the collector to absorb a large range of light frequencies for maximum efficiency. 30mm rear and side insulation holds on to the heat collected. Suitable for connection of up to four panels in series, in horizontal or vertical orientation to suit the available roof space, the SOLC201 collector plate is of robust construction, with 3.2mm structured safety glass that has passed optional impact resistance tests. To make specification easy, the SOLC201 collector is supplied with a choice of roof fixing kits for slate or tile roofs, or freestanding for flat roofs or ground level mounting. What’s more, the new collector can be combined with a choice of either the premium SOLPU1 pump station or the new cost effective SOLPU0 module, giving great flexibility to tailor to every installation’s system to exact requirements of performance and cost. Compression fittings combined with a weight of just 29kg per panel when empty make installation straightforward. An aluminium, anthracite powder coated frame gives lightweight yet strong protection and blends unobtrusively with the roof. The SOLC201 collector is covered by a 10 year warranty. 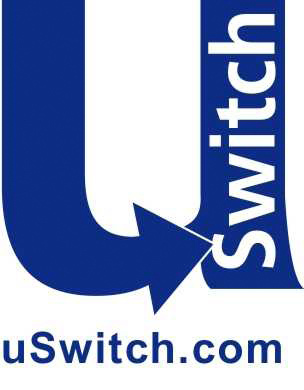 Uswitch.com is the latest online re-seller to support Ecoflap – the only retro-fitting letterbox draught excluder to have been endorsed by the Energy Saving Trust. The product has also featured in The Telegraph’s top recommendations to save energy in the home. Jessel Innovations also recently announced their new Ecoflap Twin product – a full letterbox system designed for installation into doors prior to customer delivery. The most significant advantage of both products over others in the market is the absence of springs and brushes thus eliminating wear and tear, providing continued air tightness. Ecoflap has been installed in zero-carbon housing. Other products in the pipeline include Eco-cat-flap which uses the same technology. 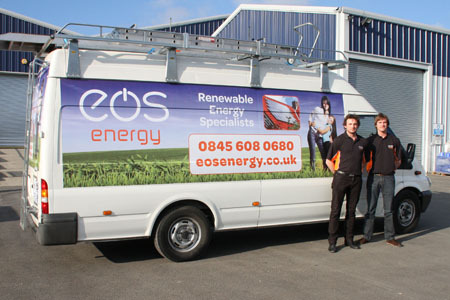 Renewable energy company EOS Energy now provides free photovoltaic solar panel systems to domestic, commercial, local authority and community project customers that could otherwise not afford them. The company's new scheme allows the customer to benefit from free fitting, maintenance and insurance of the roof top system, with the occupant receiving all electricity that the system generates free of charge for the 25-year period of operation, as well as a roof rental, where suitable yields can be obtained. During the 25-year period the panels themselves will be owned by a green funding company, who will recoup their investment through payments generated from the feed in tariff. After the 25-year period the panels will become the full property of the customer. EOS Energy hope this scheme will allow people that can't afford a system to protect themselves from the anticipated increases in electricity prices as its Director commented: "This is a great opportunity for people to benefit from renewable technologies without the initial outlay. Naturally, each roof top would have to be assessed to ensure that they are suitable and, in accordance with the REAL Scheme, we would provide a quotation explaining what it would cost to buy the system, what Feed in Tariff would be generated, as well as offering a 'free' system as an alternative." The company are hosting an open day on July 15th from 10am to 2pm at their headquarters in Warwickshire where people can find out more about the free PV scheme. Everyone is welcome to attend. Fakro’s range of FTT pivot roof windows offer exceptional heat transmission co-efficients, having been designed to meet the requirements of energy-efficient buildings such as those built to Passivhaus standards. 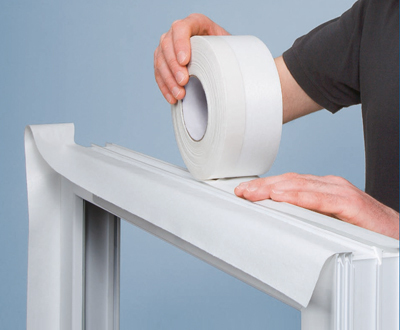 Glazing units are set in specially designed wider sash frames which minimize the potential for thermal bridging. With a 50mm thick glazing unit, the FTT U8 Thermo quadruple-glazed roof window has a U-value of 0.68 W/m2K while that of the triple-glazed FTT U6 is 0.81W/m2k. Though of pivot design, the axis of rotation of the FTT sash has been raised to enable even a tall person to stand comfortably by an open window. A modified locking mechanism secures the sash either side of the frame while the patented topSafe system provides an exceptional standard of security and safety - Class 4 EN13049. 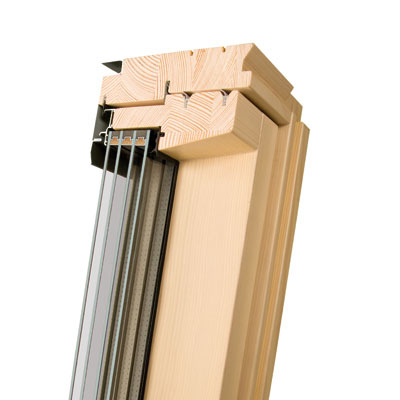 FTT windows benefit from a quadruple-sealing system using flexible thermoplastic elastomer (TPE). 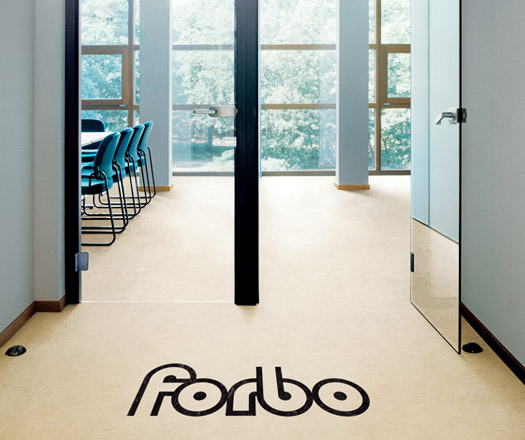 When closed, both the FTT U6 and U8 provide a 38 dB acoustic performance. HB Fuller – a global industrial adhesives supplier – has announced it has created a global centre of excellence for application development in the Window and Solar industries. The centre is located at the company’s world headquarters, Willow Lake, in St Paul, Minnesota. HB Fuller currently provides adhesives to the Window and Solar markets from Heidelberg in Germany, however with increasing demand for high performance products within these industries, the decision has been taken to centralise operations with global product development. This will enable HB Fuller to deliver solutions and products to customers at a much faster pace. The centre will be supported by teams of local specialists around the world, ensuring customers in Europe still receive the high levels of customer care and technical support they need. HB Fuller’s technologies, including reactive hot melt adhesives, have generated significant value for customers in the Windows market. These same technologies are rapidly gaining acceptance in applications within the solar panel sector, providing significant advantages in the panel manufacturing process. 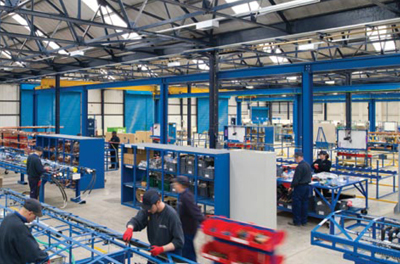 By centralising operations, HB Fuller can bring its customers an even bigger range of products and services in terms of expertise and experience within the adhesives industry for Windows and Solar Panels. Liniar has added a bi-folding window system to its Bi-Fold Plus range. 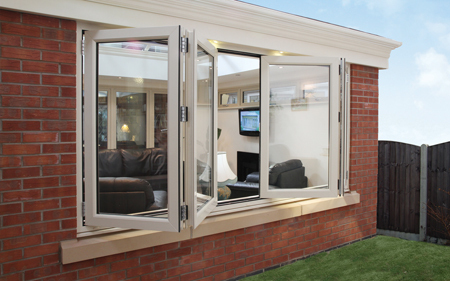 The bi-fold window has many of the same design features including slim sightlines and concealed hardware. Because it is based on the same design as Bi-Fold Plus it is also more energy efficient. 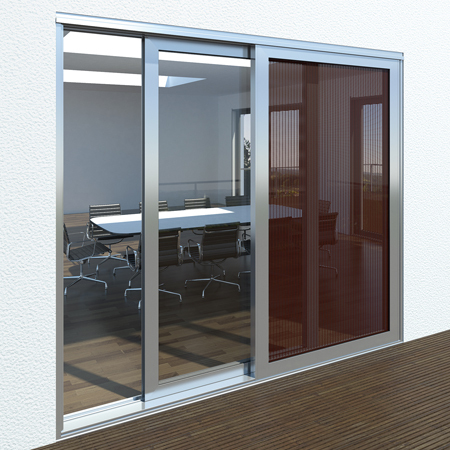 The Bi-Fold Plus window is available in a variety of configurations and is ideal for domestic installations such as conservatories, as well as commercial applications such as restaurants, bars, offices and shops. Photovoltaic manufacturers Solon SE, Tata Steel Europe and The Sustainable Building Envelope Centre (SBEC), have joined forces to address the growing demand for an intelligent combination of photovoltaic system and metal roof covering. 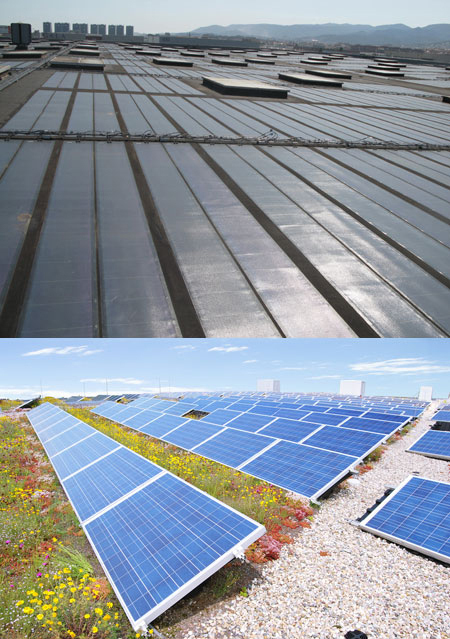 The resulting product, which consists of a photovoltaic system from Solon and a pre-finished steel roofing product based on Colorcoat Prisma by Tata Steel, is capable of a durable performance consistent with the life of the photovoltaic system and the demands of the bonded interface during this period. 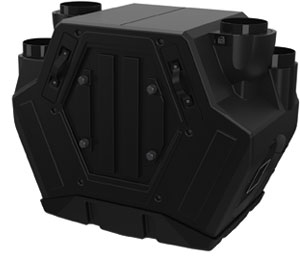 This product is scheduled for release this summer with the attendant performance warranties. The product combines the Solon SOLbond photovoltaic system with a trapezoidal twin skin built-up system or sandwich roofing component made from Colorcoat Prisma pre-finished steel. Solon SOLbond has been specifically developed for metal lightweight industrial roofs. By bonding this frameless module directly to a metal roof, the static load-bearing capacity of the roof can be used for direct support of the PV modules rather than frames or additional sub-structures. This bonding process makes roof penetration completely unnecessary thereby reducing risk of leaks. Solon SOLbond is especially well suited when roofing new industrial buildings, as the photovoltaic system is included in the design phase of a building and can therefore be optimally integrated. Conventional photovoltaic systems for metal roofs usually consist of modules that rely on aluminum profiles as a support structure. Installing these kinds of systems increases the load on the roof and makes roof penetration a necessity. Penetrating the roof will typically void the warranty of the roof manufacturer, which can lead to extensive risk for the PV system operator and building owner. Moreover, the service life of a conventional metal roof is often shorter than the projected life cycle of the photovoltaic system. Pilot project for the new design is a 12 kWp roofsystem on the Sustainable Building Envelope Centre (SBEC) at Tata Steel’s Shotton site in North Wales. The system was installed by a Solon certified installer team from Lester Fabrications & Cladding, that was especially trained for the installation process. 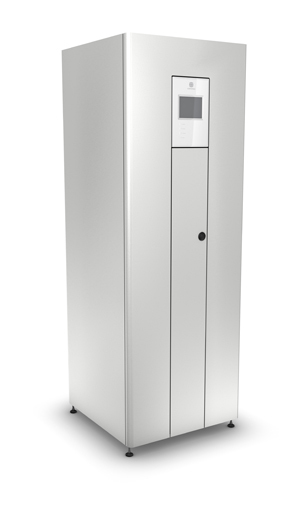 Specflue has launched its new TT20 stove as part of its contemporary Termatech range. 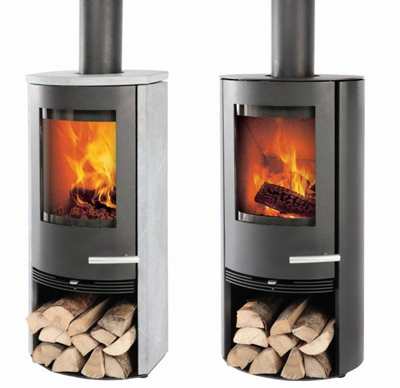 The Termatech stoves exceed the strongest European standards and burn at over 83% efficiency. It is available in four different styles with square or rounded sidepanels and a steel or soapstone finish. All stoves are delivered with the option of top or rear outlet as standard and can be easily altered at the point of installation. The sidepanels are detachable if customers decide to alter the look of their stove after it has been installed. It is a simple process to change the panels from steel to soapstone or vice versa without disconnecting the stove from the chimney. The air into the stove and the combustion process is managed by a single lever, just below the door giving owners precise control of the heat and the speed that the fire burns at. The handle is designed to stay cool during the operation of the fire. The stove may also have a direct air feed kit installed eliminating the need for an external air vent in the room. Fitted inside the stove is a large ashbox with a lid to secure the ashes when they are removed from the stove. The deep chamber guarantees the flames are in the centre of the flame picture and provides a great view of the fire. Inside the fire chamber, the base plate is cast iron to give the stove a long lifetime. Thorworld Industries has introduced optional low energy LED bulbs for its Standard Plus Dock Lights as a cost-effective, energy efficient alternative to the existing 80 watt bulbs. The lifespan of an LED bulb is as much as 50,000 hours. This is at least a ten-fold increase in life expectancy over halogen bulbs, ensuring significant reductions in the replacement of consumables for a lower overall cost of ownership. Thorworld estimates that, under typical distribution centre operating conditions, the LED Dock Light becomes more cost-effective within two years of purchase. "Changing a light bulb might seem only a small act, but it produces a big 'win' – meaning less hassle, lower energy consumption and enhanced environmental credentials, without any discernable loss of illumination."